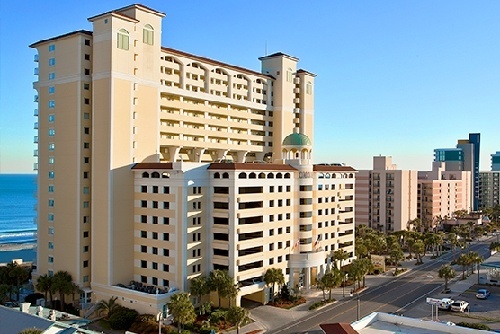 Situated along the beach just a short walk from the Myrtle Beach Skywheel and 6 miles from The Carolina Opry, the modern Camelot by the Sea offers relaxing accommodations for any traveler type. 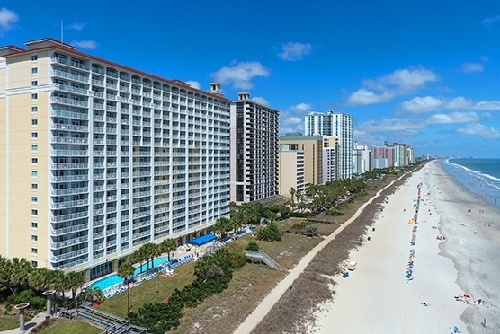 Guests can enjoy free Wi-Fi, a fitness center, an on-site convenience store, and an oceanfront location, plus a 200-foot indoor lazy river, an indoor pool, a large whirlpool spa, children’s pools, and more. 9-minute walk from the Myrtle Beach Skywheel. 6 miles from The Carolina Opry. Free admission to Wild Water & Wheels Waterpark. At Camelot by the Sea enjoy all the comforts of home in one of our spacious studios or 1 bedroom suites, all non-smoking and oceanfront! 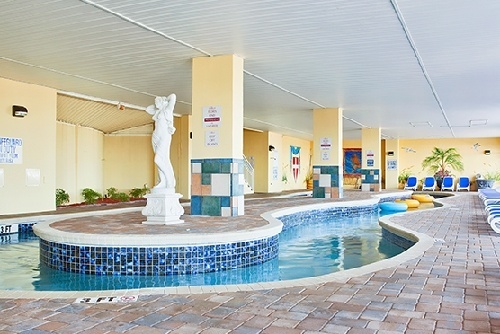 Guests will also enjoy a variety of on-site water activities including a 90 foot covered pool, 60 foot outdoor pool, 200-foot covered lazy river, kiddie pools and hot tubs. Also on-site are a convenience store, state-of-the-art fitness facility, business center, guest laundry, and on-site parking. 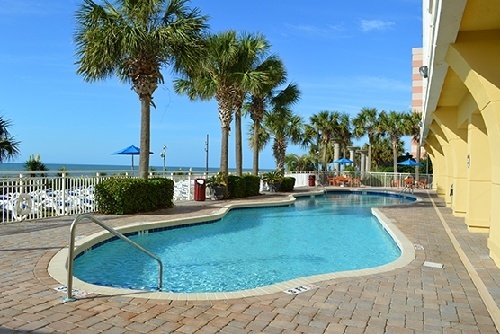 For a home away from home, stay at Camelot by the Sea Myrtle Beach. 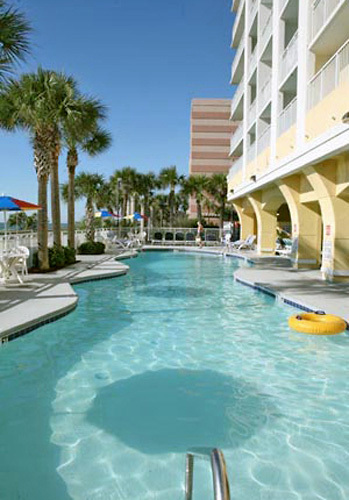 Our 231 suite Grand Strand hotel is the perfect vacation destination. 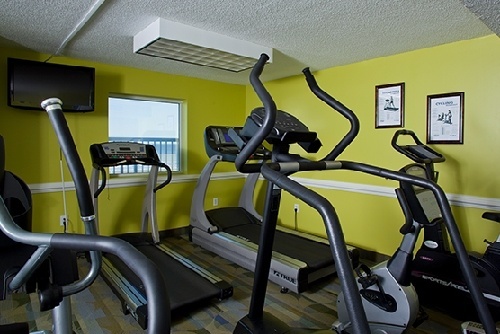 Stay in spacious suites and enjoy the endless amenities and services at our hotel in Myrtle Beach. 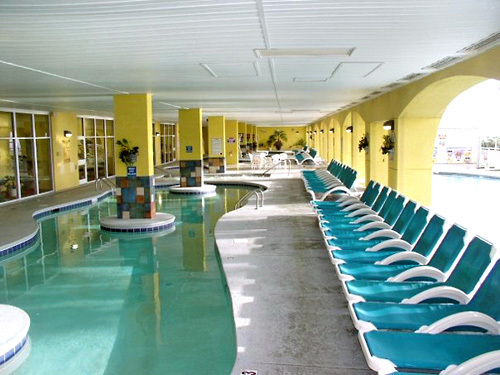 This expansive hotel in Myrtle Beach offers studios and 1, 2 and 3 bedroom suites. Whether you are traveling alone or in a group, our different types of suites will serve your needs. How many rooms are available at Camelot by the Sea? There are 231 rooms are available throughout at total of 18 floors. No, but there are a variety of eateries nearby including Sea Captain’s House and River City Café. 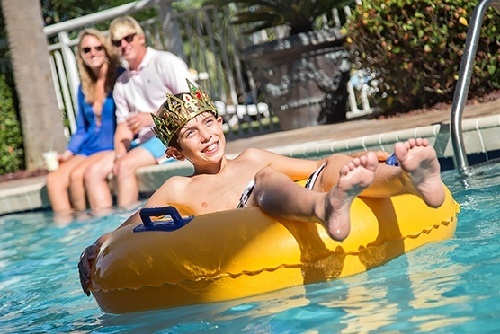 What is the minimum age required for check-in at Camelot by the Sea? 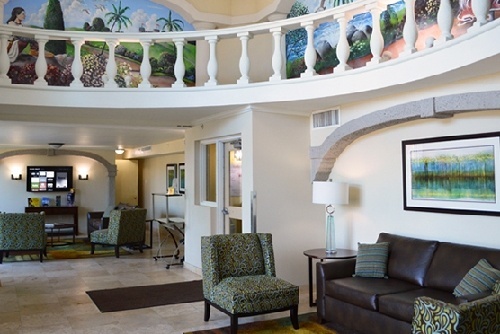 Camelot by the Sea has a $5.00 Resort Fee, charged nightly for length of stay. Is there a charge for rollaways or cribs at Camelot by the Sea? Rollaways are available for $10 a night and cribs are available free of charge on a first come, first served basis. What are the pool hours at Camelot by the Sea? How far is Camelot by the Sea from the Myrtle Beach Airport? 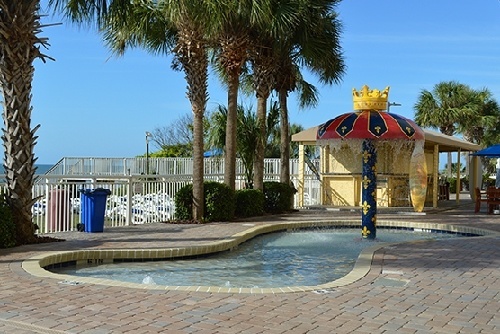 Yes, Camelot by the Sea is a smoke-free property.